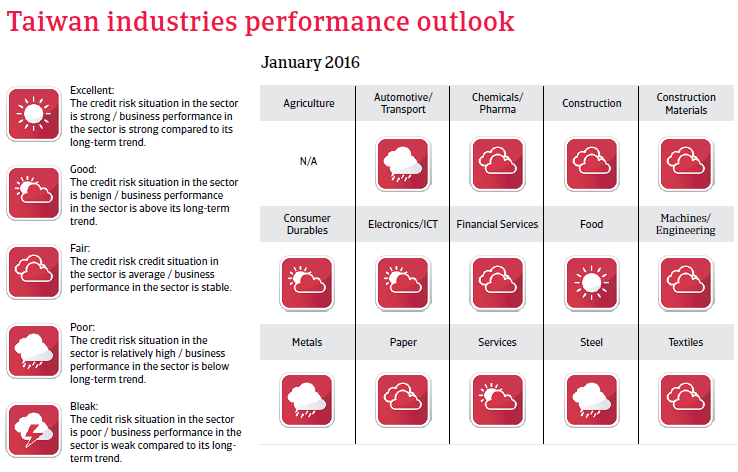 Productivity increases and economic diversification are the main long-term challenges. Head of state: President Ma Ying-jeou, Kuomintang (KMT), since May 2008, newly-elected president Tsai Ing-wen to take over in May 2016. Government type: Multiparty democratic regime headed by popular vote-elected president. Taiwan’s relationship with mainland China will remain the dominant political issue for the island. The political scene is polarised between pro-unification parties (KMT, PFP and New Party) and pro-independence parties, mainly the Democratic Progressive Party (DPP) and the DSU. The mainland regards Taiwan as a ‘renegade province’ and has repeatedly threatened to invade the island in the event of a formal declaration of independence. Since President Ma came to power in 2009, he successfully sought to improve relations and deepen economic ties with China. In June 2013, China and Taiwan agreed on a Trade in Service Agreement (TISA). However, TISA is controversial in Taiwan because it is widely perceived as increasing Taiwan’s economic dependence on China. In November 2015 Taiwan’s President Ma met China’s President Xi Jinping in Singapore - the first meeting between the leaders of the two countries. However, the DPP won the January 2016 presidential and general elections, which could complicate relations with mainland China in the future. Taiwan succeeded in transforming itself from a developing nation into an industrial high-income country, focusing on the export of electronics and computer equipment, basic metals and plastics. Its economy is mainly export-oriented, with the export of goods and services accounting for more than 70% of GDP, and with 40% of outbound shipments -mostly electronic devices -destined for China. 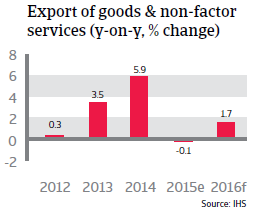 This vulnerability became visible in 2015, as lower demand from China had its impact on exports, which contracted 0.1% year-on-year. Economic growth slowed down to 1.0% after 3.8% in 2014. In order to support growth, the Central Bank of Taiwan lowered the interest rate twice at the end of 2015. 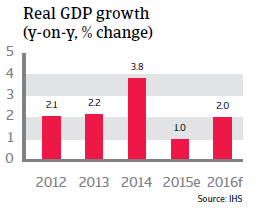 In 2016 a modest recovery to a 2% growth rate is expected, as investment, industrial production and exports are forecast to rebound. That said, Taiwanese businesses not only suffer from decreased Chinese demand, but also from the fact that China’s industries increasingly climb up the technological value chain. 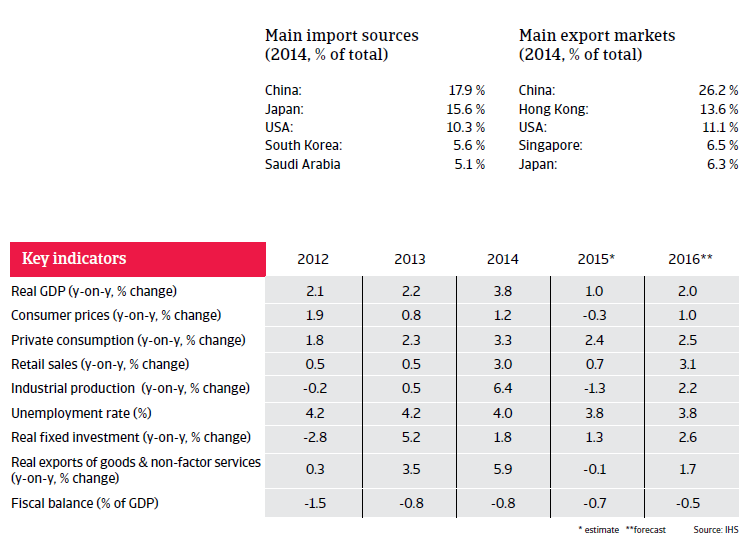 As China competes in key sectors (e.g. semiconductors), Taiwan will have to look for new high value-added alternatives. Therefore, productivity increases and the diversification of the economy are the main long-term challenges. The country also suffers from its political isolation, as other countries are reluctant to engage in free-trade talks with Taiwan. Yet Japan, South Korea and China - Taiwan’s main competitors - are signing many deals of their own. 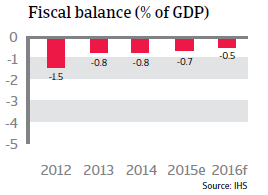 Taiwan’s external financial situation is very solid. The current account surplus is very large and the country has ample foreign reserves. Taiwan’s robust economic fundamentals support its currency but the Central Bank of Taiwan regularly intervenes to prevent a sharp appreciation of the Taiwan dollar, which would hurt export competitiveness. The economy benefits from efficient goods and labour markets, a well-developed financial sector, as well as sophisticated education and healthcare systems and sound infrastructure. 32.5% of respondents in Taiwan compared to 25.8% in Asia Pacific said that domestic B2B customers pay invoices late most often due to disputes over the quality of goods delivered or services provided.